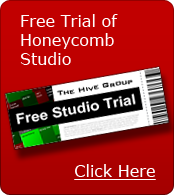 Richardson, Texas (May 17, 2010) - The Hive Group today announces the release of Honeycomb Rich 5.8, launching a new set of innovations that advance visualization into operational contexts. Live Geospatial Integration: Embed Honeycomb alongside satellite mapping services to pinpoint global assets. Conversely, generate dynamic treemaps to focus on specific items selected within geographic regions. Linear Progression Interface: View chronological data in an ordered arrival/departure display that supports instant write-back capabilities. A synchronized treemap view can be layered into the environment to drive several dimensions of analysis. Integrated Spreadsheet Interface: Integrate treemaps alongside tabular data. Identify, scroll-to, and highlight items of interest. Changes made within the spreadsheet interface immediately cascade to other Honeycomb panels and displays. Control the display of spreadsheet rows using Honeycomb filters and search controls. Data Source Updates: Edit and update underlying data directly in the treemap interface or in other panels or displays. Submit changes on a single item, or groups of items at a time, and view the changes instantly. What-If Analysis: Deploy treemaps to support theoretical analysis. View potential changes locally...before they are applied...then synchronize the updates to underlying data sources. Custom Information Panels: Build unique functionality that drives, reflects, or communicates bi-directionally with treemaps or other information displays. Power the environment using third party controls. Through these innovations, Honeycomb 5.8 brings multiple business perspectives into a single line of sight, while exposing the hidden details and anomalies. “Honeycomb Rich 5.8 extends the framework for our vision of operational visual systems. Not satisfied with traditional information visualization or reporting tools, we are creating true operational interfaces. Our customers use our software to visually manage their businesses,” said Paul Hargis, Vice President of Engineering at The Hive Group. The Hive Group develops visualization software used by major corporations and government agencies. The company builds highly immersive visual environments that are deployed in operational intelligence (OI), business intelligence (BI), and complex event processing (CEP) contexts. The company’s treemapping software is the foundation of these visual environments. Organizations embed The Hive Group’s software into their business processes to monitor performance metrics, identify critical issues, perform follow-on analysis, collaborate with other users, and take action. The company’s visual environments help users navigate their daily responsibilities—focusing their attention and improving decision-making—so they can better serve their customers and improve performance.